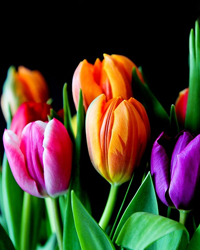 Maryanne Blair, 59, of Henry Dr., Auburn, passed away on Friday, April 12, 2019 at Upstate University Hospital. She was born in Auburn on October 8, 1959. Maryanne was employed by Verizon in Syracuse for 35 years. She is survived by her loving husband of 34 years, James Blair; her children Sarah (Mark) Baker, Molly Blair and Matt Blair; her father, Robert Marciniec; her brother, Jerry (Joanne Nombris) Marciniec and several nieces and nephews. Maryanne was predeceased by her mother, Jane Marciniec in 2016. Funeral services will be held 10am Tuesday, April 16th at White Chapel Funeral Home Inc., 197 South St. Auburn. Burial to follow at St. Joseph’s Cemetery.